In a recent post, we discussed the potential impact of a divorce on your estate planning. One issue we raised was the need to review–and possibly revise–the beneficiary designations on assets like retirement accounts and life insurance policies. But there is an important caveat to this advice: You need to ensure any beneficiary designations comply with the terms of your divorce settlement. A recent Florida appeals court decision, Brown v. Poole, offers a helpful illustration. This case involved a dispute between a decedent’s ex-wife and his widow over the distribution of a life insurance policy. The decedent and his ex-wife were married for 25 years. When they divorced in 2006, their settlement required the decedent to pay $6,000 per month in alimony. 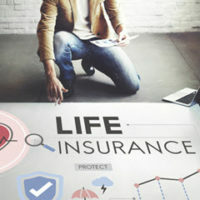 To help ensure the decedent’s performance, he agreed to maintain a $1 million life insurance policy that named his ex-wife as the “irrevocable” beneficiary. The policy itself preexisted the divorce and previously named the ex-wife as the “revocable” beneficiary. Notwithstanding the terms of the settlement, the decedent apparently changed the beneficiary of the life insurance policy multiple times between his 2006 divorce and his death in 2015. At the time of the decedent’s death, his then-current wife was named as beneficiary. The ex-wife did not learn of this until she tried to claim the policy benefit after the decedent passed away. A Florida trial court ultimately ruled the money belonged to the ex-wife. The court imposed what is known as a “constructive trust” on the insurance policy. In other words, under the terms of the divorce, the decedent was obligated to maintain the insurance policy, as trustee, for the benefit of his ex-wife. He no longer legally owned the policy as an individual, so he was not entitled to change the beneficiary designations after-the-fact. The widow appealed. But the Florida Fifth District Court of Appeal agreed with the trial judge’s decision. The appeals court noted that constructive trusts like this are commonly used in situations like this one “to restore property to the rightful owner.” While the widow did nothing wrong, the issue here was the decedent’s failure to comply with the terms of his previous divorce settlement. The widow argued the ex-wife waited too long to make her claim–Florida has a statute of limitations for these types of claims–but the Fifth District noted the clock did not begin to run until after the decedent died, since the ex-wife had no knowledge of the illegal change in beneficiary designations until that time. When making an estate plan, you generally have the right to dispose of your property as you see fit. But you cannot use your estate plan to avoid complying with an existing court order or contractual obligation. A qualified Fort Myers estate planning lawyer can give more specific advice tailored to your situation. Contact the Kuhn Law Firm, P.A., at 239-333-4529 if you would like to schedule a confidential consultation with a member of our estate planning team today.